Roberto Daluiso, financial engineer at Banca IMI, will be giving a seminar titled "Fast Price Sensitivities with an Application to Margin Valuation Adjustment" on Wednesday 13th February from 18:10 - 19:15 (light refreshments available from 17:40). 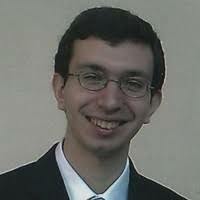 Roberto Daluiso is a quantitative finance analyst, focused on computational aspects. His education is that of a pure mathematician, enriched by active frequentation of the mathematical finance academical environment since graduation, but also by day-to-day contact with the trading desks in the modeling activity.